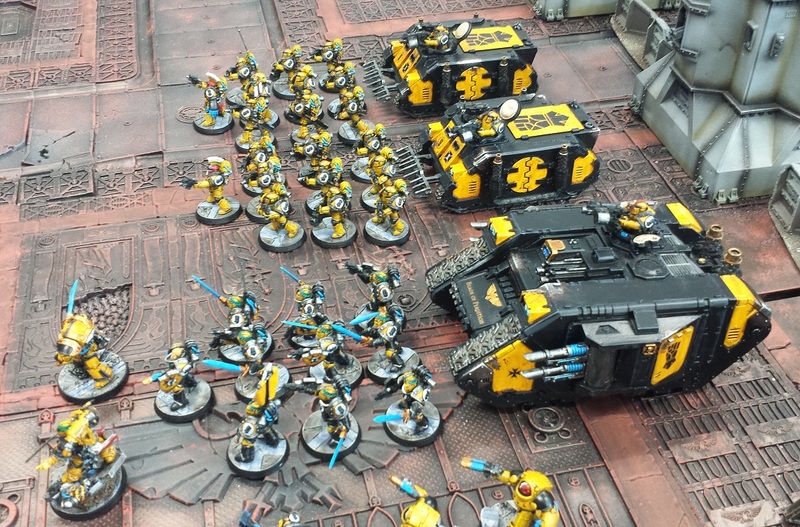 Mordian 7th Regiment: Heresy Era Imperial Fists - Adepticon Army 99% complete! 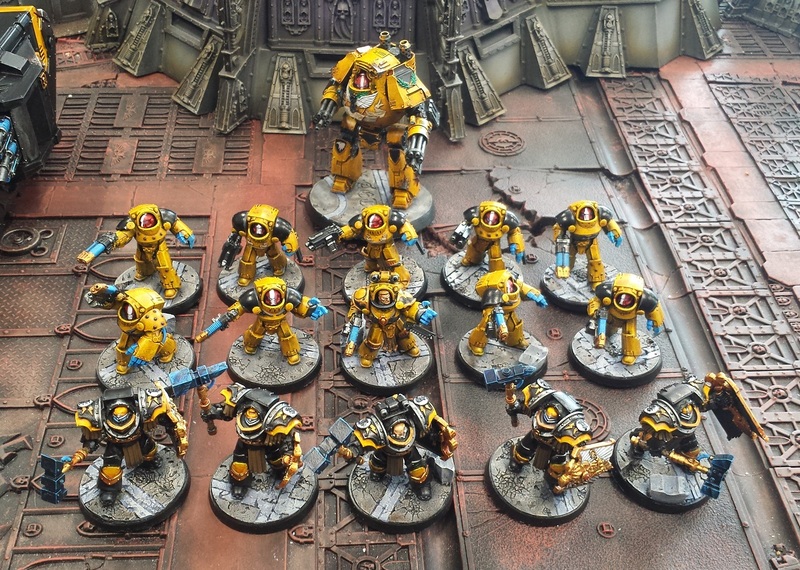 Heresy Era Imperial Fists - Adepticon Army 99% complete! 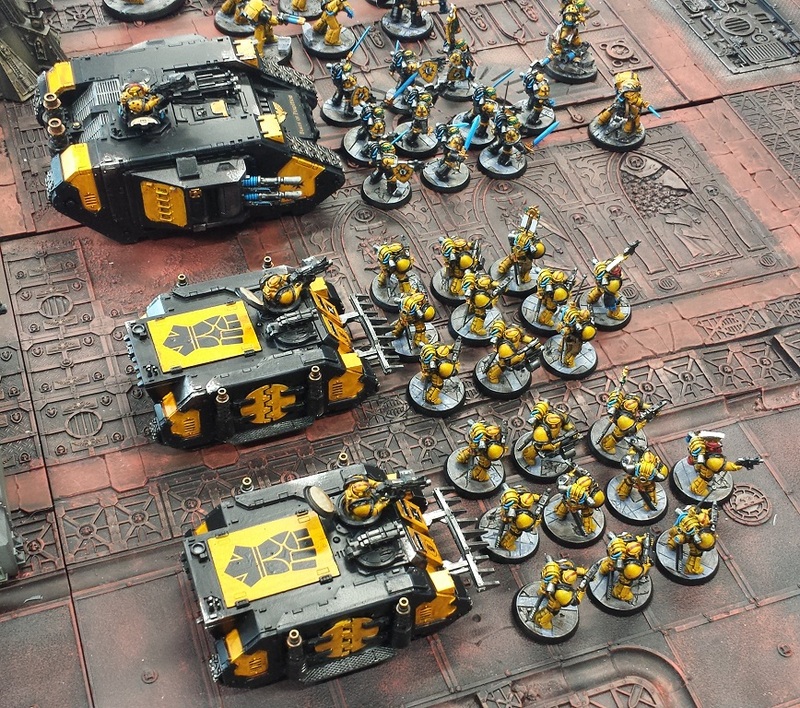 Made a big push over the last few days to get the Imperial Fists army for Adepticon complete, and took them down to the local GW shop for some army shots on their tables! Very much a points-dense force mostly built for compact air travel than any on-the-table tactical reason. Very pleased with how they look all lined up, though - I was worried about the colors but I think it strikes a nice balance between the black and the yellow, as befits their veteran status. For characters and theme the army is based around Sigismund and the various veterans of the 1st company. The big S will be joining the unit of Templar Brethren, and a vanilla Consul leads the Tartaros terminator contingent (very much there to make up the points). The biggest point sink in the force but one that I just had to include, the Templar Brethren and their transport clock in at 605 points. Are they worth that many points when the resin hits the table? Probably not, but I really dig how they look and the Rule of Cool wins out for me every time! Carrying on with the veteran theme, it's hard to go wrong with a mess of terminators! The ten-man Tartaros squad is a character-killer unit, intended to deep strike in, plasma the heck out of everything nearby, then pile in the following turn to mop up. At least that's the plan! The Cataphractii are intended to be an honor guard for the Contemptor and provide him backfield support. The Contemptor is there for light anti-air and horde coverage, plus it just looks darn cool! Finally are the two units of Veterans. They each have a pair of Heavy Bolters, and between them they'll be throwing ~40 shots a turn that hit on 2's, and Rend on 6's which is pretty darn nasty! Dakka dakka dakka! Couple side shots of the tanks, really happy with the big fists on the Rhino top hatches, though let's just say I'm glad I had four to work with, totally made a hash out of the first one I'd tried! The tanks and dread got a little light weathering here and there, didn't want to go overboard as I envision the Fists strive to keep their equipment looking nice but a little scuff here and there gives 'em some personality. Definitely felt good to get the whole painting chart flipped over to green! Now with this force out of the way and packed up for the event next month it's time to turn my attention to other projects. The news coming out of the Heresy Weekender has me chomping at the bit to get back to my beloved Thousand Sons, and there's a fairly major shake up in my plan with them. ...Let's just say it includes the statement "My current Thousand Sons army is going on the auction block and I'm starting anew. Again." Hah! Amazing! That yellow and black look really worked out well. Seems like it needs Dorn though! Pity that he is not even on the schedule yet. Fantastic work as always. 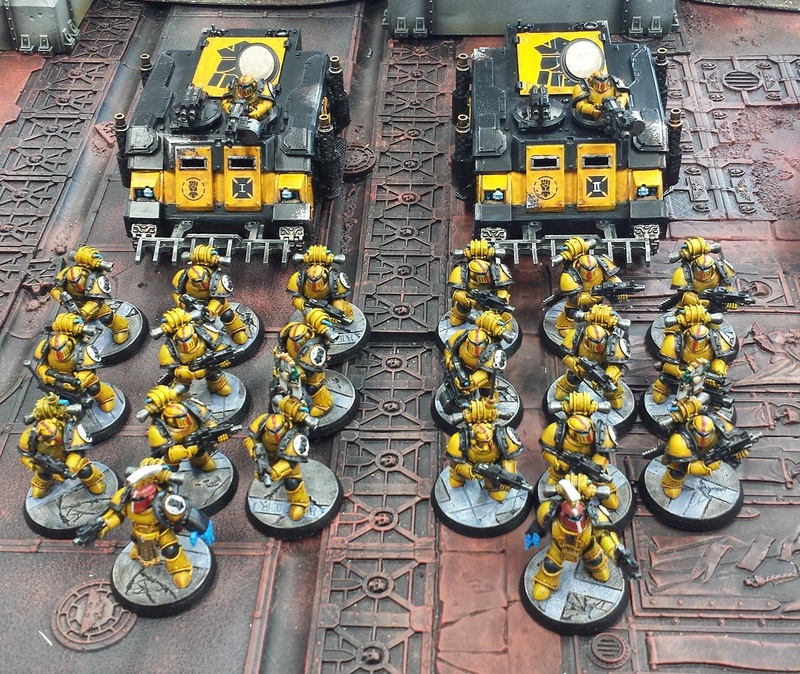 The yellows look great and the force assembled looks very formidable! Good luck in the tournament, hopefully you place well. You are already flipping your Thousand Sons army? Somebody is going to be very lucky! I do so like to see the full army shots you put up. Although I must admit seeing them all like this nakes me think the colours on the vehicles should be reversed. Looks very well painted all around though. Good luck with the gaming now! Another army being sold off eh? That looks fantastic. As always I am impressed with your work. Those look amazing, I'm looking forward to seeing them in person. 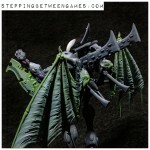 I guess I should stop obsessing over your models and get back to my Fists so they'll actually be ready for Adepticon! Looks Great. I love seeing armies displayed like this. They look great ! I especially love that you built the army to travel with by air. 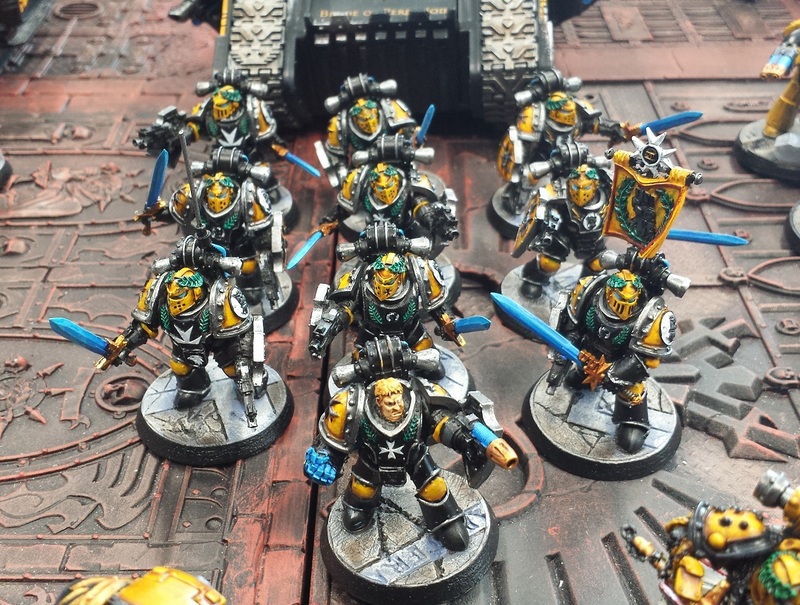 For some reason it tickles me that the Sons of Drone, of all of the legions, adjust their force composition to enable their strike force to cope with public transport. Your. Not You're. Sorry I'm trying to multitask. @Lasgunpacker: Thanks very much! Aye, I'm looking forward to seeing FW's take on Dorn! @Bronislaw Czevak: I appreciate it! The event should be a blast, it's more of a narrative weekend rather than a tournament - so everybody wins, even if we lose! @John Steining: I'm taking the plunge into the airbrush world, going to try the metallic red tha FW has been showing off of late! 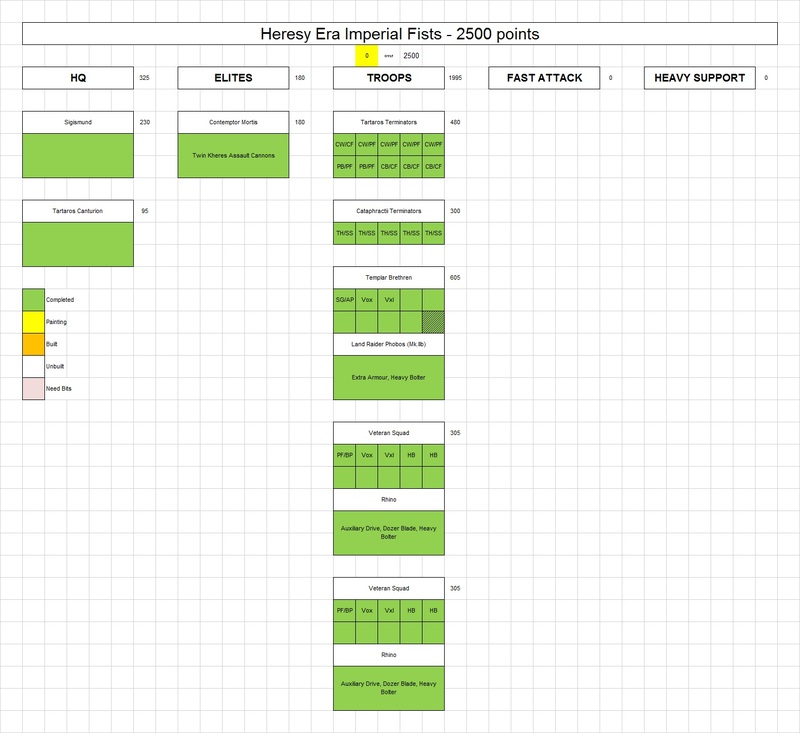 @Rory Priest: Aye, reversing the vehicle colors would look cool, but I find the wash step in the process that works well on the infantry isn't so hot on the big flat plates of vehicle armour. Partially that's on my and my ham-fisted application. Hah! @Agis: Thanks very much, man! @Siph_Horridus: Cheers man! The last 1% is a couple more transfers on the terminators, forgot to lay in all the legion icons on the shoulder pads. Shouldn't be too much trouble! @Douglas Glover: Thanks man! Can't wait for Adepticon! @FettFace: Cheers! I do enjoy a good family photo! @Riot Ville: I appreciate it, man! @Zzzzzz: Haha! A perfect fluffy explanation for the force! I do enjoy painting the Sons, going to try a slightly different take on 'em - doing a late heresy force, and using a mix of the 40k Thousand Sons and the Heresy plastics! I really appreciate all the kind words, folks! Man these look awesome! I can't believe how quick you painted them. Now you just need to fortify Terra! Love it, also love how you have the spreadsheet to show painted models / points... think I have just found a new way to do my army lists! @Kraggi: Cheers! It's a fun way to keep organized, it's nice to color in the little boxes as models get finished! This army looks super cool. Since your last yellow-army effort, I can really see a definite improvement in your painting skills. I like the black accent to the force. Looks good all together. Huzzah sir! @ScottShoemaker: Thanks very much, man! Oh that is a glorious sight mate. Congrats on getting it all done. Looks fantastic on parade like that.